All kind of smart home appliances with the lowest consumption and with the ability to have full control over your smartphone! 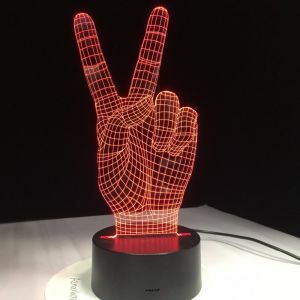 Robotic vacuum cleaners, smart scales, smart flowerpots with music playing, smart electronic candles, smart color fans and more are waiting for you to meet! 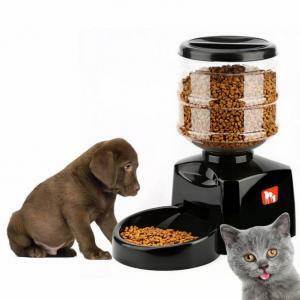 Automatic Pet Feeder with Voice Message Recording and LCD Screen. Pet owner’s play voices to call the pet at the meal time. Large LCD panel displays the current time, meals programmed, meal size and meal served. Can be programmed to dispense from portion 1;4 cup to 3 cups, at 3 selected meals every day. Act as storage compartment to keep food dry and fresh. €42.00 Tax exc. €31.50 Tax exc. No more throwing out the extra fruit! Freeze it and turn it into a healthy frozen dessert. 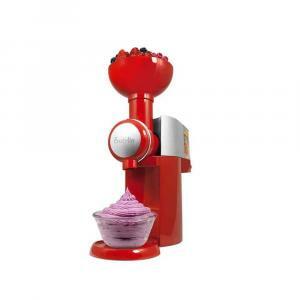 The Big Boss Swirlio frozen fruit dessert maker turns your favorite fruits into a soft-serve frozen dessert in seconds. Peel, cut and freeze the fruits, insert them into the chute and you’ve got a delicious and healthy dessert. It is quick and easy way to make healthy desserts. There is no added sugar, fat or preservatives. You can create endless fruit combinations for custom desserts. It is better to use only the ingredients you consider best for you and your whole family. €56.14 Tax exc. €42.11 Tax exc. The Broadlink A1 is a detector which can monitor the situation including VOC, voice, light, humidity, temperature, and so on. 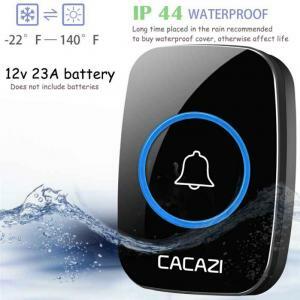 Users can check the indoor situation through their smartphone anywhere at anytime. Moreover, in conjunction with the e-Air smart detector, users can preset the actions to take under the situation in the apps “e-Control”. For example, the dehumidifier will turn on automatically when the humidity is over 80%. Furthermore, you can preset the time that actions will be automatically taken. €39.00 Tax exc. €29.25 Tax exc. An awesome and easy to install doorbell necessary for every home or office! 300 Meters receiving distance in open area. 38 Melodies and 3 Levels of adjustable volume. Digital Circuit with no cross talking. 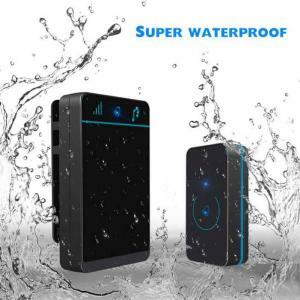 Waterproof button, but long stay in the water will affect its durability. €13.28 Tax exc. €9.96 Tax exc. 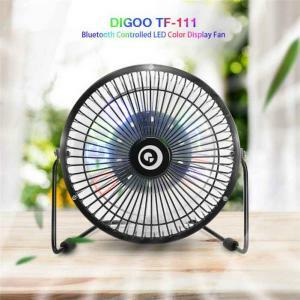 Digoo DG-TF111 make electrical fan smarter and cooler. 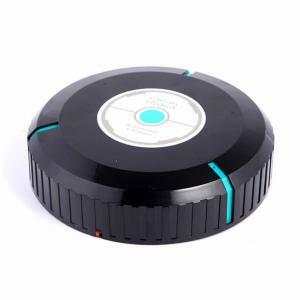 It can be connected with your APP control in your mobile phone to realize bluetooth remote control so that you can control it with your mobile phone. More importantly, fan can display the time and temperature through simple bluetooth connection operation and with the time memory function it does not need to be adjusted every time so it is very convenient for next time use.And what make it cool is that with LED color display, it can display a variety of colorful adjustable message, which looks so amazing. €25.34 Tax exc. €19.01 Tax exc. Auto-sensing system: it will turn on when you close, auto off when you leave. 8 Colors light emission: 8 colors light in turn. 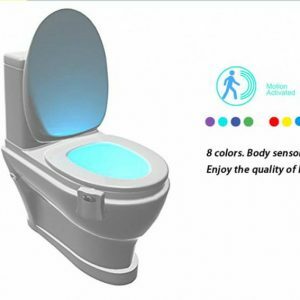 Energy-saving and useful: it make your bathroom easy to access via the auto-sensing device, smart and considerate. Sanitary design: easy to clean. Very smart device for everyone! Suitable for all bathrooms! €7.09 Tax exc. €5.32 Tax exc. Compact and elegant design, especially made for those who have a deep love for life and have a good taste. Ultra-fine and uniform mist to ensure that every single essential oil is well absorbed, allowing you to enjoy SPA anytime and anywhere. Essential oils and mist molecules gently circulated in every corner to give you a new experience of safe, comfortable and efficient use of essential oils. Super quiet with ultrasonic technology to allow you to work at ease, sleep sound, and easily handle your work. 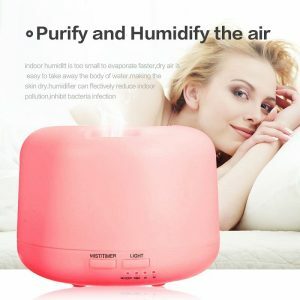 Effectively kill bacteria and purify the air for skin care and good health, an essential guard for your home and office! €21.75 Tax exc. €16.31 Tax exc. A2 scale not only has beautiful appearance, but it also has excellent functions and quality, which make users feel heart-warming. 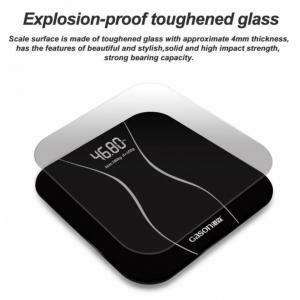 The function of high- precision weight sensing is designed at high cost. LCD backlighting at night can be clearly read. 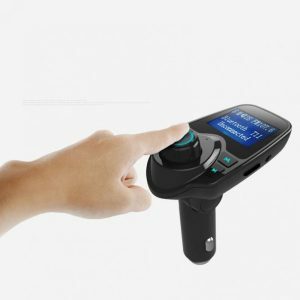 Equipped with 4 high-precision sensors according to the mechanical structure of the scale, rapid and accurate weighing to capture slight change. It is also equipped with auto power-on when sensing weight. €22.59 Tax exc. €16.94 Tax exc. Compact and elegant design, especially made for those who have a deep love for life and have a good taste. Ultra-fine and uniform mist to ensure that every single essential oil is well absorbed, allowing you to enjoy SPA anytime and anywhere. Essential oils and mist molecules gently circulated in every corner to give you new experience of safe, comfortable and efficient use of essential oils. 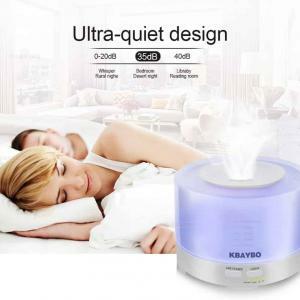 Super quiet with ultrasonic technology to allow you to work at ease, sleep sound, and easily handle your work. 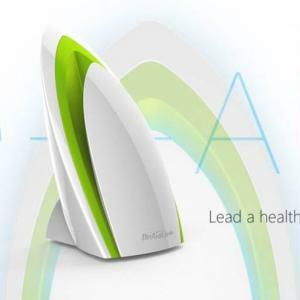 Effectively kill bacteria and purify the air for skin care and good health, an essential guard for your home and office! €24.44 Tax exc. €18.33 Tax exc. The wireless doorbell is a genius invention, especially as it can be placed absolutely anywhere without an issue. Affordable and easy to install, they make a stress-free alternative to the classic wired doorbell. Many wireless doorbells also offer some added security for you in your home. This is because the majority of them have panels that let you know who is outside – so you only need to answer or open the door if you know who it is. 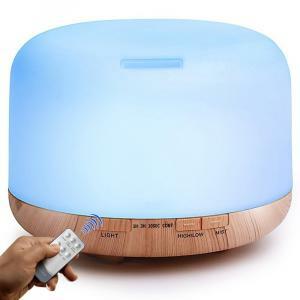 It supports 36 different tunes for your choice, effectively reminding you of the coming of guests or friends by lovely songs and LED light. Remote control range up to 100m in the open air, suitable for homes and high-rise building. €15.72 Tax exc. €11.79 Tax exc. Imagine you could get rid of all these spoons, swizzles or things you sometimes need to improvise because you don´t have anything suitable at hand (like tongue depressers). Never need to wash a spoon again. Never have the taste of wood in your mouth again because of these tongue depressers. There´s a little spinner at the bottom of this mug that will take care of all the stirring itself. You just have to relax and enjoy your delicious coffee. Stainless steel keeps your coffee hot and the attachable snap-lock lid makes this mug your favorite item to-go! 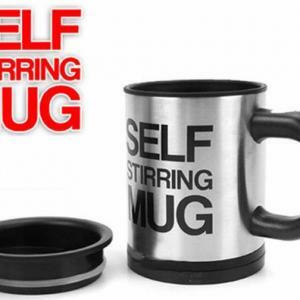 Who needs a spoon when you can enjoy your favorite beverage in this awesome Self Stirring Mug. Just a press of a button and your tea, cocoa or coffee is stirred automatically. €8.50 Tax exc. €6.38 Tax exc. The cleaner robot runs automatically around home to adsorb the dust and dirt with the furry cover. Easy to clean, all you need to do is to clean the furry cover. Efficiently picking up hair, dust and dirt in all those annoying nooks and crannies under furniture, with 3 functions, including sweep, adsorb and mop. A cleaner robot that can not affected by blockage. Perfect for someone who does’t like to sweep the house. €35.14 Tax exc. €26.36 Tax exc. Our Mirror Advertising Screen is a popular choice for customers looking for a Digital Signage screen with a difference.The screens come complete with a framed or frameless Mirror Overlay meaning the display integrates perfectly with any modern or traditional interior and when turned off, the screen disguises itself as a mirror! The mirror advertising screen also includes a HD media player allowing you to update media using a USB memory stick, while inbuilt Digital Signage software enables you to schedule content to appear at different points of the day. The displays also include inbuilt speakers and HDMI / VGA inputs for connecting to other media sources. €400.00 – €1,200.00 Tax exc. €300.00 - €900.00 Tax exc. €22.84 Tax exc. €17.13 Tax exc. 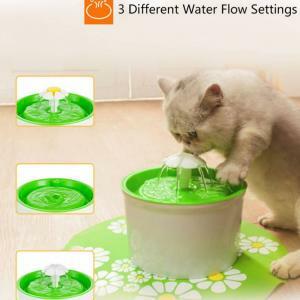 KIMHOME Automatic Pet Water Feeder Flower with Electric Water Supply. With Premium activated carbon replacement filter. 3 different water flow settings. No noise when functioning. 20000 hours lifetime motor and low power consumption. Easy to clean. €31.83 Tax exc. €23.87 Tax exc. 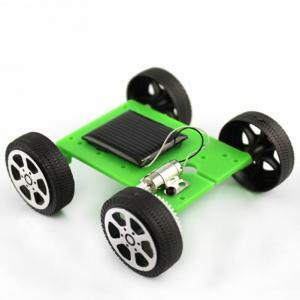 Mini Solar Toy DIY Kit Car €3.40 Tax exc. €2.55 Tax exc. 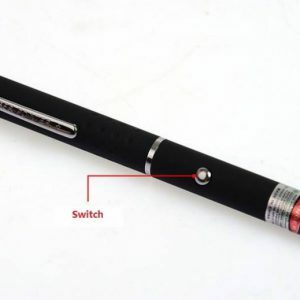 532NM Powerful Red Laser Pointer Pen €5.11 Tax exc. €3.83 Tax exc. 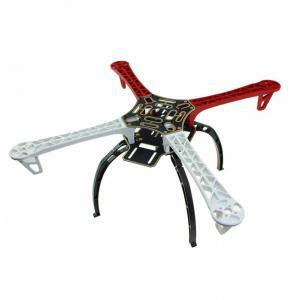 DJI F450 Multi – Rotor Quadcopter Drone Kit €18.05 Tax exc. €13.54 Tax exc.